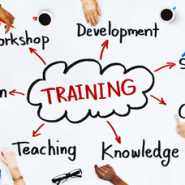 In many ways training events are similar to conferences and seminars; however, they are often run as a coordinated programme covering a number of sessions and over a longer period of time. This means that not only do you have to cover the same ground that you would for a conference or seminar, you also have the challenge of trying to find slots in the diary to suit all concerned – including your rooms. Then, just when you’ve got it all settled, something changes – the tutor can’t do one of dates, a different room is required for some reason, the group grows or shrinks which makes the space impractical!!! If you were using CABS to manage your training events then this would not be a problem as it handles linked sessions naturally; it allows things to be shuffled around without losing track of any detail and without forgetting to tell somebody who needs to know. CABS also allows you to easily copy previous course bookings to set up a new instance – the same or modified – in next to no time. Isn’t it time you had a professional system to help you do a truly professional job? Contact us now and find out how CABS can change your world for the better.